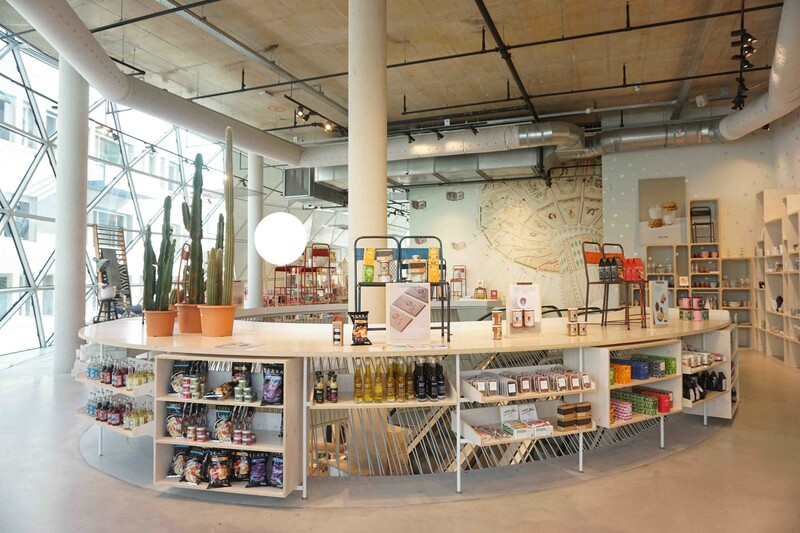 Sissy-Boy is one of The Netherlands’ leading lifestyle retail brands and, in the last few years particularly, has experienced a lot of success with its unique mix of homeware, fashion and accessories. 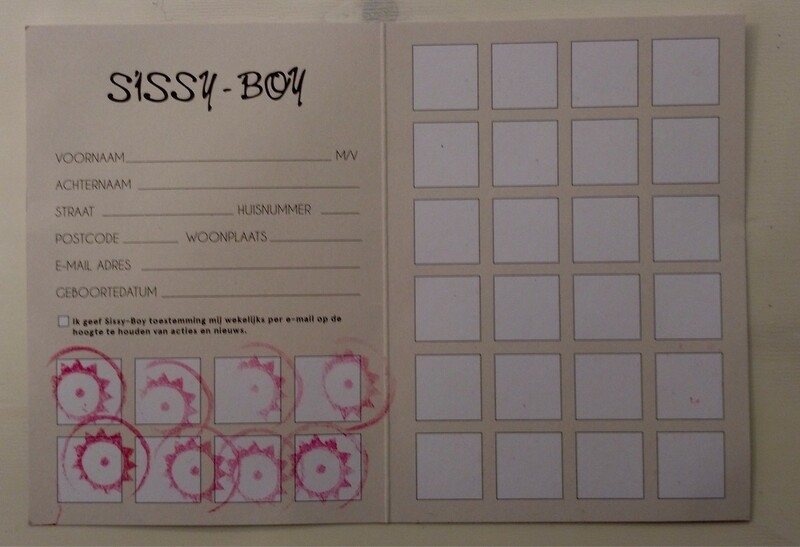 In early 2015 Sissy-Boy decided to implement a new customer loyalty program to replace their stamp-card based program. Research shows that most shoppers (93%) have a negative opinion of traditional loyalty programs. Most programs don’t offer real value to customers — often because they are not personally relevant or because they are inflexible. As the number of ways to buy a product online increases (webshops, retailer mobile apps, TV apps, buy buttons, etc) and people have more choice, it’s also increasingly important that loyalty programs work wherever customers choose to shop. Most often this is not the case. Sissy-Boy chose Spaaza to power their new Family program. 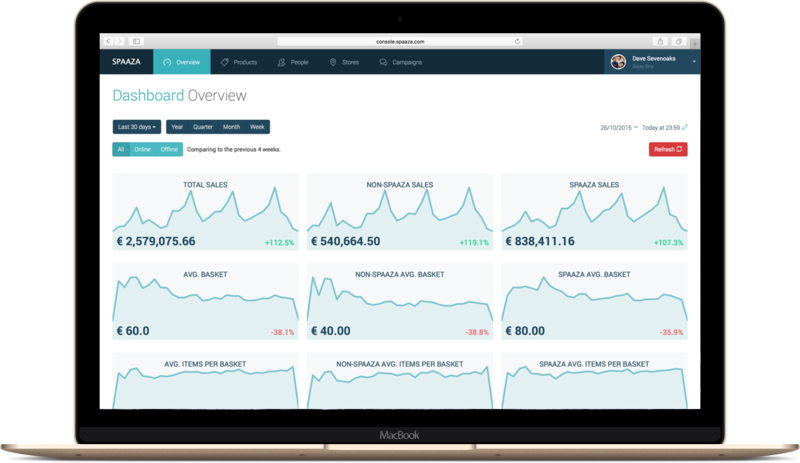 Spaaza provides lightweight but powerful tools for retailers to create next generation customer marketing that works across shopping channels. The first step in creating the new Sissy-Boy Family program was putting in place Spaaza’s Platform which connects customer data from different shopping and social channels into a single unified profile. By having a single profile for a customer Sissy-Boy is able to reward many different types of engagement and behaviour and also understand their customers better. This helps to improve the relevancy of future marketing activity, both within Sissy-Boy Family and more generally across the business. 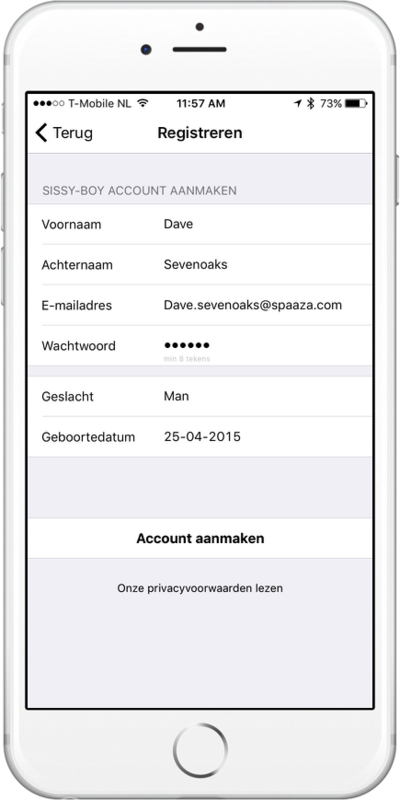 The Spaaza Platform works together with Sissy-Boy’s existing tools and services including their CRM and communication system (Copernica), webshop (Demandware), POS vendor (SRS) and social networks. Sissy-Boy chose to use Spaaza’s Points and Cashback voucher technology as their primary way to reward customers through the new Family program. Spaaza’s points technology lets retailers create campaigns that contribute to the points balance of a customer when a certain event or set of events occurs. For example an event could be the purchase of a certain type of product or the customer leaving some feedback. The contributor model allows retailers to create more targeted and personal incentives that can be tied to specific business objectives. Additional Spaaza contributor campaigns can be used by Sissy-Boy as and when required. Sissy-Boy chose Spaaza’s cashback technology which turns points into vouchers, or “Family Rewards”, which can be redeemed in real time as a discount on items in Sissy-Boy’s online and offline stores. In the case of Sissy-Boy Family one point equals one euro of Family Rewards. Shoppers have the choice of how much of their saved Family Rewards they want to use on a purchase. They can also choose to not use any and instead use it on a later transaction. 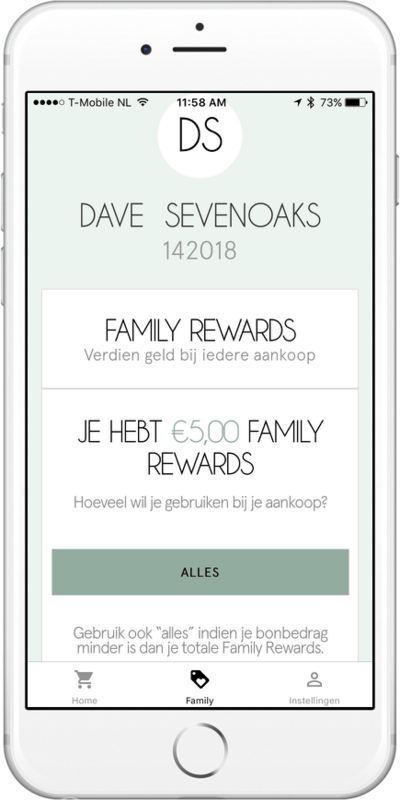 In order to redeem Family Rewards securely and in real time Sissy-Boy used Spaaza’s redemption integrations with their Point of Sale provider, SRS a leading Dutch vendor, and Demandware their webshop provider. By building the Family program into a Sissy-Boy app, shoppers are able to sign up and interact with the program on their own without help from staff and away from the cash register. 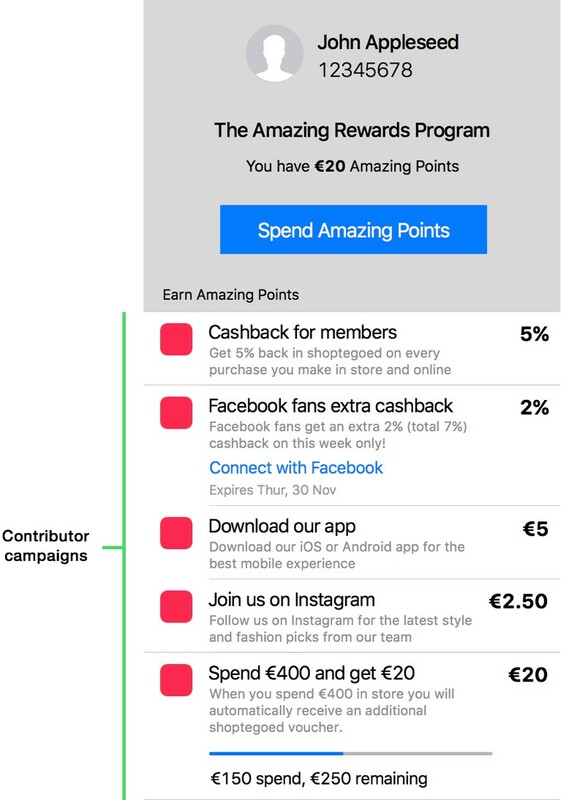 This saves vaulable time at checkout but also, importantly, encourages shoppers who may just be visiting without purchasing to join the program (most traditional loyalty programs only focus on signing up customers at the checkout). With the app customers also get full visibility into how much they have saved and can choose what they want to use on their next visit. Spaaza’s Sales Associate Interface works with the SRS cash register system at the checkout counter but it also works on any other device which means that staff can use their in-store tablets to create accounts and activate rewards throughout the store. It’s up to customers whether they want to engage with the Sissy-Boy family program through the Sissy-Boy app or via staff in store. In mid-2015 Sissy-Boy went live with their new webshop, built using the Demandware platform. Sissy-Boy’s Family program works seamlessly on the webshop with the help of Spaaza’s Demandware Cartridge. Customer’s create an account in the normal way and then choose to opt into the program. 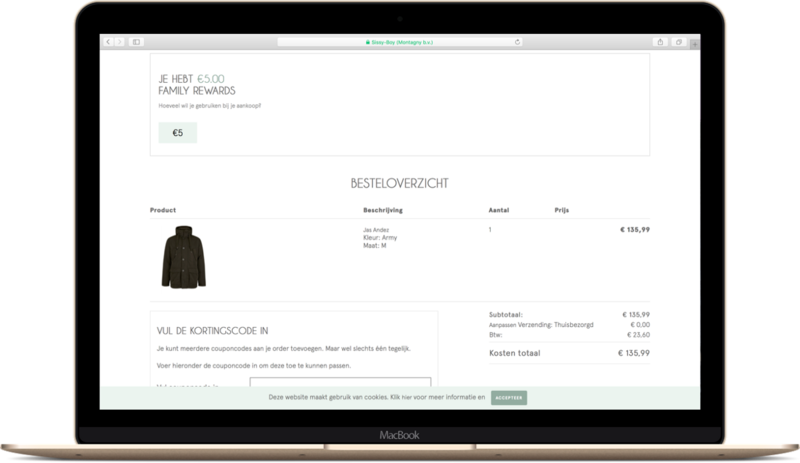 Using rewards at checkout is fast and secure and makes use of Demandware’s order object attributes to ensure that any adjustments are correctly accounted for. Importantly, any points that are earned or spent on returned items from the webshop are also reversed and correctly accounted for by Spaaza (this also works with returns in store). 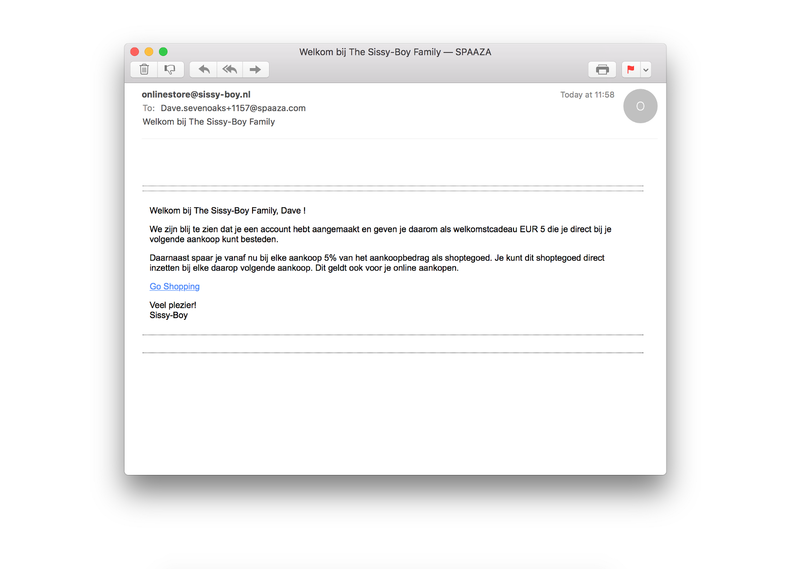 Sissy-Boy makes use of Spaaza’s web hooks to send personalised welcome emails to Sissy-Boy Family members. The content of each mail varies based on how the customer signed up. Staff at Sissy-Boy HQ have access to a range of analytics tools and dashboards that are updated in real time to reflect the performance of Sissy-Boy Family, both overall and in specific digital and store channels. 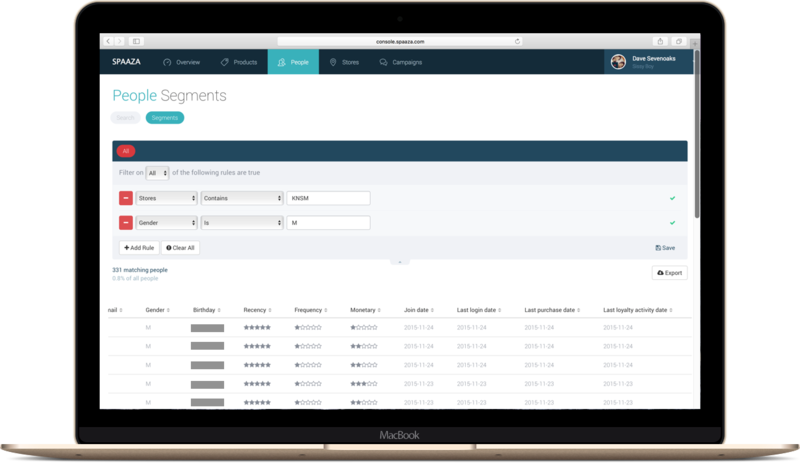 Sissy-Boy uses Spaaza’s unified customer profiles, statistical analysis and segmentation technology to easily create groups of customers and, if required, export this data to other services. This makes it easy to communicate with a specific group of customers. For example: email all big-spending customers who have bought a particular brand from a particular store. 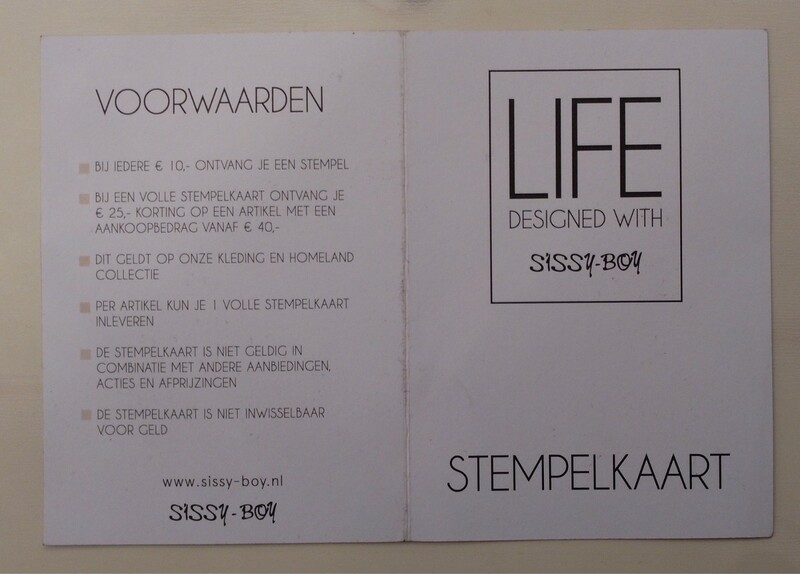 Sissy-Boy Family went live in September 2015 and has been a great success so far with more than 65% of all customers in physical stores using the program. The reaction from staff and customers has been universally positive. “We are very happy with Spaaza and the results we’ve seen from Sissy Boy Family. We’ve seen a huge proportion of our customers engaging with the program, with a very positive impact on our business. We‘re looking forward to seeing how Sissy-Boy Family evolves and the interesting ways Sissy-Boy uses Spaaza’s tools in the future to create better relationships with their customers. Co-founder and CEO of Spaaza. Bulding tools for retailers to deliver better customer marketing.